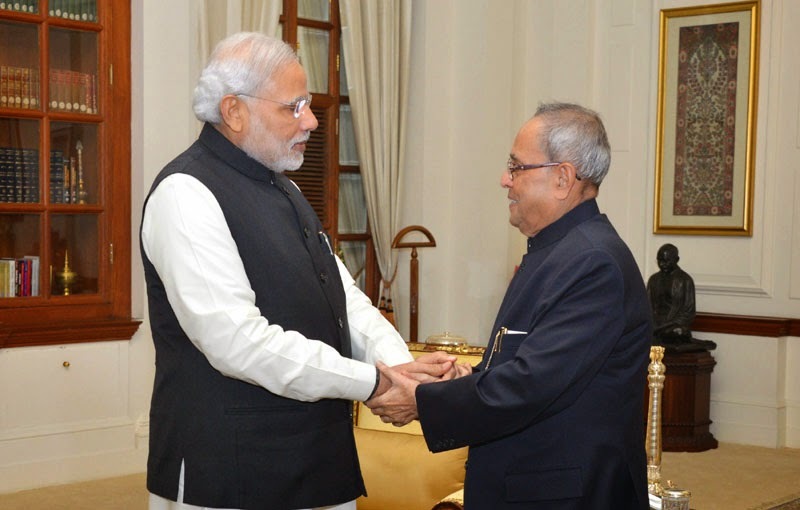 The Prime Minister, Shri Narendra Modi has greeted the President, Shri Pranab Mukherjee on his birthday and has wished for his good health and long life. "Pranab Da has given his life to India. Few people can match his political experience and stature. We are honoured to have a President like him. It takes just one interaction with Pranab Da to marvel at his intellect, sharp mind, deep knowledge and insight on a wide range of issues. Warmest birthday greetings to our dear Rashtrapati ji, Shri Pranab Mukherjee. May he remain in the best of health and lead a long life", the Prime Minister said. Warmest birthday greetings to our dear Rashtrapati ji, Shri Pranab Mukherjee.May he remain in the best of health & lead a long life. It takes just one interaction with Pranab Da to marvel at his intellect, sharp mind, deep knowledge & insight on a wide range of issues.